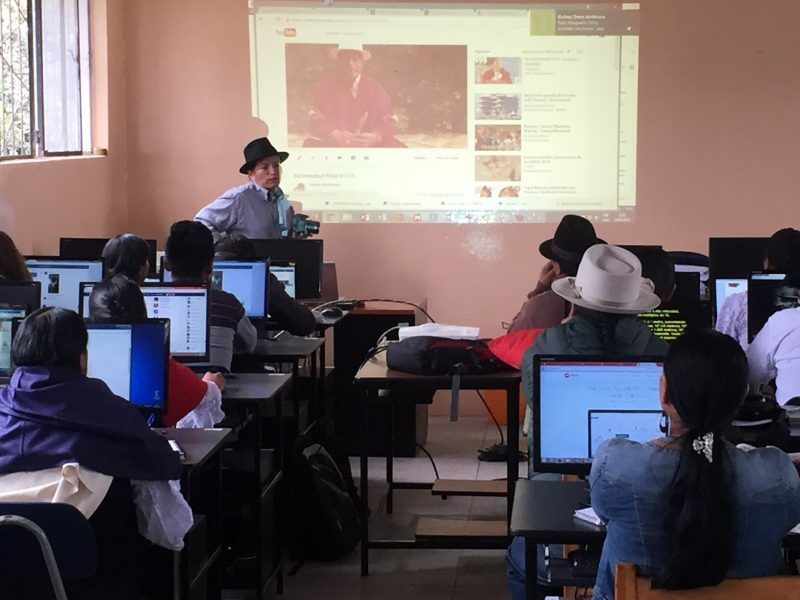 Members of Kichwa communities across Ecuador gathered in the city of Otavalo on August 17-19 to take part in a three-day workshop to discuss the state of their language, build new digital skills, and share experiences promoting their native language on the internet. Best known for its weekly colorful open-air market that attracts both local residents from across the Imbabura Province and tourists alike, Otavalo is located 90 km from the Ecuadorian capital of Quito. The city is also well-known for its embrace of local Kichwa culture and language, where the typical dress can be seen throughout the city center, and where Otavaleño households and workplaces still converse in the language on a daily basis. Kichwa language can be spotted in some public buildings where bilingual signs further reinforce the message about its influence in everyday life. 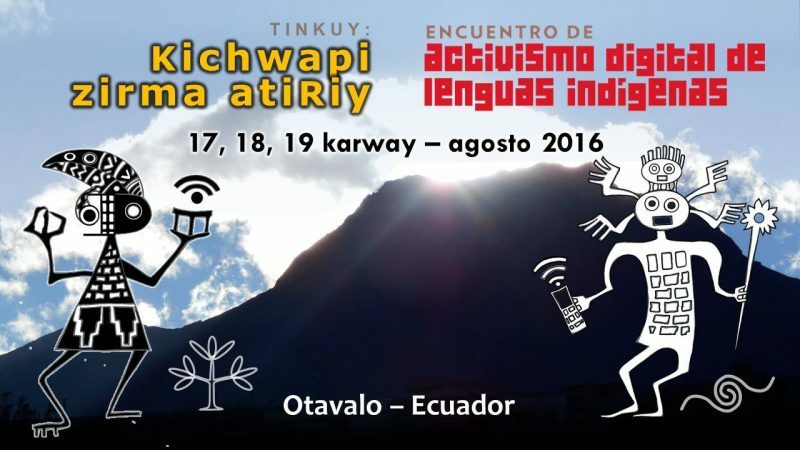 Otavalo is also home to several pioneering digital initiatives that seek to promote the Kichwa language through digital media and the internet in hopes of attracting a new generation of speakers ensuring that the language continues to endure. One such project, Kichwashun, which manages several social media accounts and the Kichwa instruction site Kichwa.net, was one of the primary organizers of the workshop along with the Municipality of Otavalo in partnership with Global Voices through its Rising Voices’ Language Activism initiative. This workshop in Otavalo was the first of its kind in this series that focused on digital activism for a single language in contrast to other gatherings co-organized by Global Voices in Peru, Colombia, Mexico, and Bolivia, which were open to indigenous language digital activism to all languages from those countries. Following an online and in-person call for participants, 30 individuals were selected based on their demonstrated commitment to the revitalization of the Kichwa language and existing internet knowledge. Organizers ensured a gender balance and geographic diversity with representation from various Kichwa communities such as Karanki, Puruhá, Salasaka, Quisapincha. 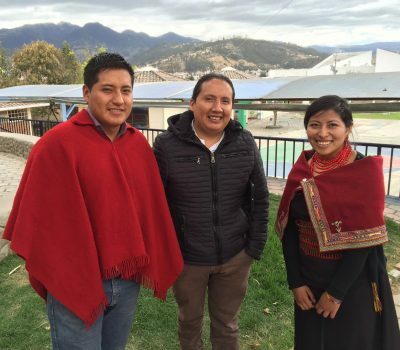 Primary facilitators were experienced digital activists Imbaya Cachiguango and Sacha Rosero Lema, both of whom have been working on Kichwashun and a number of other online and offline projects in support of the Kichwa people. Panoramic view of Kichwa ceremony prior to the start of the workshop. Photo by E. Avila. As is customary prior to the inauguration of any important group activity, the organizing team invited a local “yachak” (shaman) to perform a Kichwa ceremony called “wakcha kary”. After forming a ring of flowers on the ground, the ritual leader presided over the ceremony of gratitude to the Mother Earth involving nature’s four principle elements: fire, air, soil, and water. For those taking part in this ceremony, it was an opportunity to ask for wish for good spirits throughout the upcoming event. Muyuntin – A video (below) created by the Tinkunakuy Center about the origin of the Andean world narrated in Kichwa with animation. Following the public form, two and a half days of intensive and hands-on workshops took place in the computer lab located at a local school. Led by Imbaya and Sacha, participants provided an overview of many different digital tools, everything from creating memes in Kichwa to going outside to interview fellow participants to create an audio podcast. Facilitators also demonstrated how one could create a simple video for upload to YouTube, as well as a basic introduction to Wikipedia in Kichwa. Participants also created a Telegram group so that the participants can remain in touch and ask for assistance, share their own work, and coordinate for future activities. Imbaya Cachiguango leading a workshop on digital video. 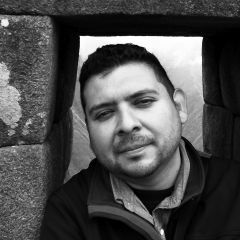 Photo by E. Avila. One of the more popular workshop was learning how to create memes in Kichwa and sharing them on the popular group Kichwa memes. 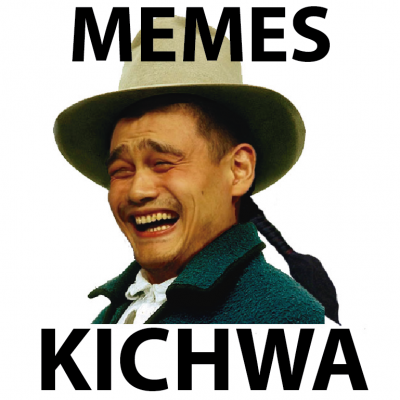 Logo of the Kichwa Memes Facebook group. Interest from local media helped spread the word about the workshop taking place, resulting in more people inquiring how to take part. 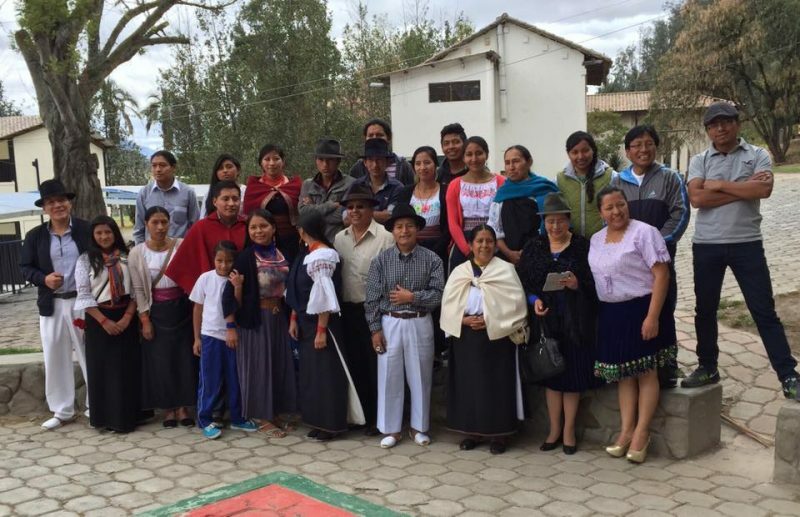 Organizers now hope to make the event an annual occurrence, and replicate similar activities in other Kichwa communities such as Cotacachi, Saraguro, Azuay, Riobamba, as well as work with local bilingual schools. Participants also proposed holding contests and other online activities as a fun way to maintain interest. Other reflections included the need to link the language digital activism with other traditional forms of cultural expression such as handicrafts and agricultural knowledge. Even though youth is the sector of population most comfortable with the internet, there is also a need to reach parents encouraging them to send the message the maintaining one’s language active in other ways.